This is the third post in a five part series. Victor is introduced in American Assassin, where he’s presented as one of the six recruits training to be part of the Orion Team along with Rapp. From the beginning, Mitch knew there was something off about him. From hounding other recruits about where they were from and asking their real name, both of which were forbidden – to being loud and obnoxious, even with the instructors. Rapp could tell Victor wasn’t who he said he was. A recruit known only as Bill, who Rapp guessed was a former Navy SEAL from Texas, was dismissed from Stan Hurley’s lake house (where their training took place) after divulging his personal information to Victor. In chapter sixteen, the recruits are sparring when Victor ignores the rules and breaks Fred’s (another recruit’s) nose. Prior to the match, it was stated that there was to be no striking to the face. This was the second time, after Hurley cheated against Mitch, that Rapp had seen total disregard for the rules while sparring. Fed up, Mitch challenged Victor, waited for him to ignore the rules, then broke them – and Victor’s arm – himself. Later on, Doctor Lewis questioned Rapp about his actions. Rapp explained that he figured our pretty quickly that Victor was one of the instructors, but didn’t know for sure until he broke his arm and saw how fast everyone tended to him. In the end, Doctor Lewis had to convince Rapp to stay at Hurley’s and admitted that Victor was one of them, and not a recruit. Unfortunately, that isn’t the end of Victor. He returns in Kill Shot, this time hunting down Rapp along with Hurley – except he has a different motive than Stan. After Mitch is ambushed while pursuing a target, he’s forced to go on the run until he can figure out who set him up. Irene Kennedy, Thomas Stansfield and Stan Hurley all have theories about what happened, but without questioning Rapp, there’s no way to know for sure. He had to be brought in, so Hurley and his guys went after him. Victor went along for one reason, to kill Mitch. He had zero intention of bringing him in. Rapp, smarter than Victor, knew this from the beginning and took the appropriate precautions. Using a body double, Rapp watched from a distance as someone who looked just like him prepared to enter one of the CIA’s safe houses in Paris. Victor slipped out from the back of a surveillance van and snuck up on the man he believed to be Mitch. He shot him in the back of the head and then turned his gun on his own team members, ensuring there were no witnesses to what he’d done. Rapp watched in horror as Victor killed everyone. When two policemen responded to the shooting, Mitch decided he’d seen enough innocent people die, and tried to save them. While he was too late to save one of the officers, Rapp was able to give medical attention to the other man whom Victor had shot. Victor, meanwhile, had left the scene and was already planning his own cover story for Hurley and the CIA. Naturally, his plan was to blame everything on Mitch. The truth is, had Rapp not realized he’d need a witness to everything, Victor might have gotten away with it all. But Rapp wasn’t across the street watching Hurley’s goon kill everyone by himself. Greta, the granddaughter of a banker that both Stansfield and Hurley were friends with, was with him. She saw it all, and she told Thomas Stansfield the truth. Hurley was the last one to accept that Victor was a monster. Once he did, though, he agreed to let Rapp go into an interrogation room alone with Victor while he watched the door. Mitch interrogated Victor, and in the process shot him in his good knee, both feet and his left elbow. The threat of being shot in his groin was enough for Victor to admit that he’d sold Rapp out to Paul Cooke – the CIA’s Deputy Director. Cooke, along with some other bad guys from Kill Shot, also made the top ten list. Hurley was left wondering what he was going to do with Victor, something the reader never finds out. Rapp and Hurley go off to deal with Paul Cooke and everyone else involved in setting him up. So the last we see of Victor, he’s lying on the floor bleeding from several gunshot wounds. His character, like Greta – who was one of Rapp’s love interests – is regularly talked about amongst fans because of the uncertainty regarding their future. Personally, I would love to see Kyle Mills go back and finish the prequel trilogy – writing a book that takes place after Kill Shot, and before Transfer of Power. He’s talked about doing that for his third book (the final book on his current contract) because of all the loose ends. I hope that he does so we can finally find out exactly what happened to Victor! Again, I really struggled with where to put Victor (Chet) on this list. He’s not a terrorist, nor has he done some of the things (kidnap Kennedy, etc.) that other bad guys have done. Ultimately, I felt be belonged this high on the list for one specific reason: fans – myself included – absolutely hate him! The first time readers meet Mustafa al-Yamani, he’s a passenger on forty-four-foot Riva Rivarama yacht gliding through the Florida Straits. After saying a quick prayer to Allah, he stabs the captain and throws him overboard. After a final check of his GPS, al-Yamani adjusted course and settled in for what would be a 360 mile trip to the United States. 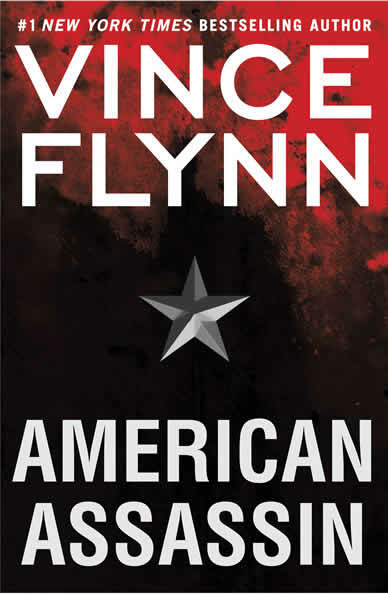 Meanwhile, after interrogating a terrorist at an underground CIA safe house, Mitch Rapp was able to extract enough information to take to his boss, Irene Kennedy. The Intel they had led Rapp to Pakistan, where he watched overhead from a helicopter as a group of United States Special Forces commandos stormed an al Qaeda compound. The raid proved fruitful, as several jihadists were captured. Once the site was secure, Rapp was called down to the ground to check things out. What he found was a map of the United States, specifically Washington D.C., marked to show the effects of a nuclear blast. Mitch, using enhanced interrogation techniques (to put it nicely) was able to get one of the captured jihadists to talk. He admitted that a nuclear bomb had been assembled and was on its way to America by cargo ship. Unfortunately for Rapp and Kennedy, Mustafa was able to take possession of the bomb inside the U.S. before they could retrieve it. 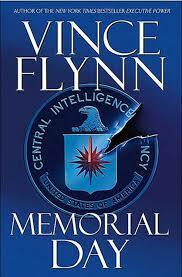 Without giving away too much of the plot, Memorial Day is one of my top five favorite Mitch Rapp books of all time. Mustafa is a great bad guy for several reasons. He’s smart, motivated, ruthless and most importantly – he’s easy to hate. I wanted Rapp to kill him from the moment he stabbed and threw the captain overboard in the first chapter. Rapp figures out that Mustafa’s plan is to detonate the nuclear bomb during the dedication of a new World War II memorial in Washington D.C. on Memorial Day, which would kill the president and other leaders in attendance. On the morning of the dedication, al-Yamani and a few of his fellow jihadists are on a stolen boat cruising down the Potomac River. Traveling by helicopter, Mitch is able to catch up to them and climb on board. Mustafa is terminally ill from radiation poisoning and nearly dead already, but that doesn’t stop Rapp from putting a bullet in his head just for good measure. Usually, once Rapp kills the bad guy the story is over with. However, in Memorial Day there’s still the nuclear bomb, which is set detonate in less than an hour, to deal with. Unable to disarm the nuke, it appears as though Mustafa will be victorious even in death. In the end, Rapp ends up saving the day by figuring out the perfect place to put the nuclear bomb before it detonated, saving countless Americans in the process. Mustafa al-Yamani is a total dirt bag. A loyal, lifelong jihadist, he wants nothing more than to strike a blow to America. He’s a murderer and showed little regard for human life, including his own. The devastating potential of his plan alone warrants his place on the top ten list, but the fact that Rapp couldn’t get the nuclear bomb disarmed gives al-Yamani a boost in the ratings. Yes, Rapp and America ultimately won, but technically speaking, a nuclear bomb was still detonated in the United States. As always, I leave you with a quote. Remember to check back next week, when I’ll unveil the third and forth best villains in the Mitch Rapp series!